Looking to attend this year's conference? You can register today in two easy steps. 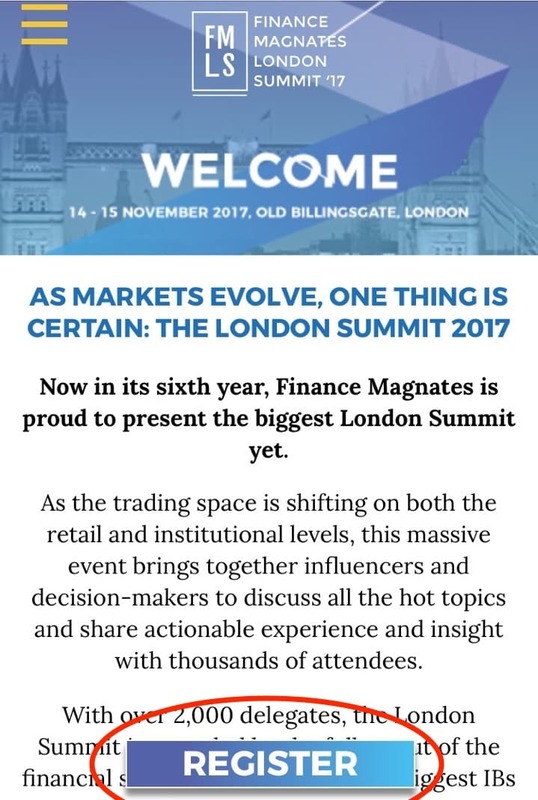 The 2017 Finance Magnates London Summit is just a couple months away and you don’t want to miss your chance to register! With attendance already on track to set a new all-time high, attendees are invited to register to reserve a spot at the industry’s most exclusive event. The event is held on November 14-15, 2017 and it already has 30 percent more registered attendees than last year. More attendees means more executives, more companies, and more business opportunities concentrated in one place. So what are you waiting for? Attendees can register by accessing the following link and following these simple instructions. 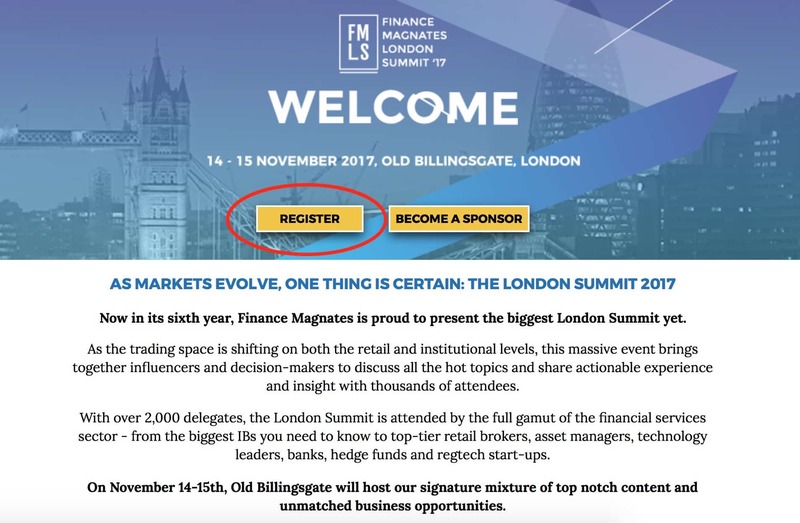 Upon being directed to the landing page on our events page, attendees need only select the ‘Register’ option (pictured below) or click on the registry link. 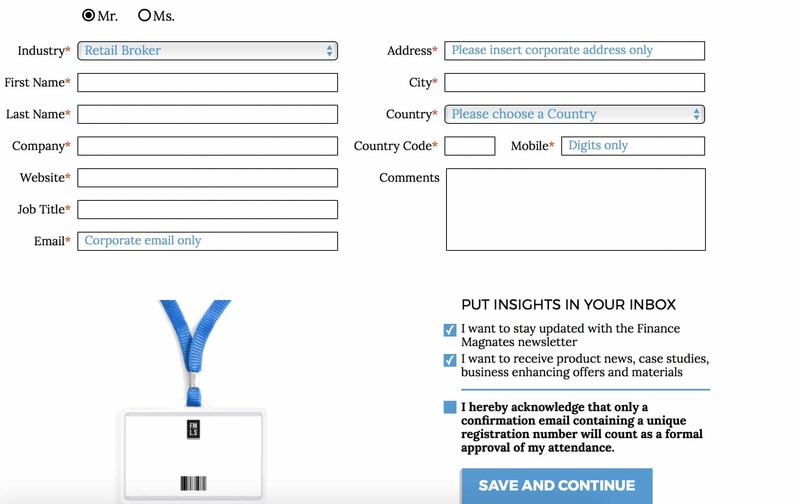 Once on this page, prospective attendees are kindly requested to provide basic details regarding their name, company, and email. We will handle the rest! Using mobile? No problem, we have you covered – you can access the same events page by the following link.